August 13, 2018 — This is a development-specific workshop, so you should have an idea about coding in general. Besides that, the workshop itself does not require any specific skill or knowledge. April 27, 2018 — One of the most known leitmotif for people into code quality assurance is: “run unit tests in isolation”. 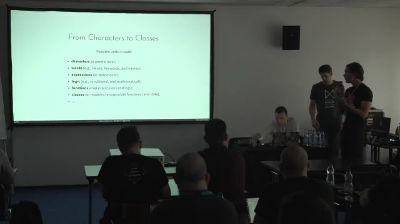 To apply this principle to code written for WordPress will bring us to write tests to be ran without loading WordPress. The talk will mostly pivot on real-world examples of unit-testing WordPress plugins in isolation. April 11, 2017 — C’era una volta un tempo in cui il webmaster (figura semi-mitica ormai estinta) per mettere online un sito web si armava soltanto di un client FTP e tanta pazienza. Oggi, invece, “DevOps”, “Continuous Delivery”, “Continuous integration”… non sono soltanto “buzzword”, ma anche pratiche con cui uno sviluppatore web professionale deve fare i conti giornalmente o quasi. 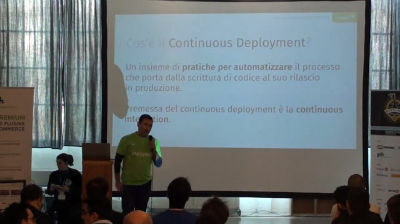 Questo talk espone una serie di strumenti e strategie per implementare un strategia di Continuous Delivery per moderni siti web basati su WordPress.